I wouldn’t say that “Facebook is rigged”, like a famous figure who used to say that “the system is rigged”, the same one that he tops now. 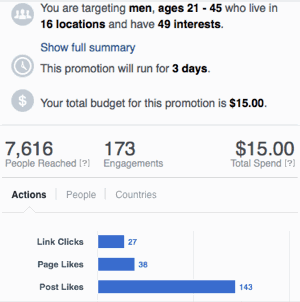 It is very clear though that the quality and the deliverability of Facebook’s boosted posts dropped dramatically. As a result of that a boosted post which used to reach few thousands of Facebook users an year ago, now might reach few hundreds only. The deliverability of Facebook’s boosted posts dropped for me somewhere between 8 and 10 times, without being affected by changes in the targeted audience or in the promotional methods used for the boosted posts. 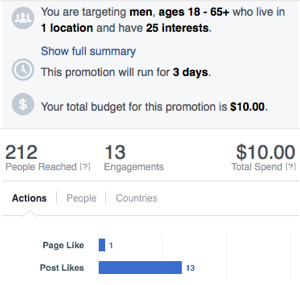 This means that as a Facebook advertiser I pay up to 10 times more for the same service today, compared to the same period of 2015. The screenshot displayed above is from Facebook boosted post that says “Interruptions of IT services of any kind and downtime on websites and applications create serious setback for businesses. Could we avoid them?”. It did not promote an product or a service. It featured a content, an article. See few examples of the results I got from boosted posts in 2015 and 2016. This post that has a reach of 7,616 people has been submitted in the beginning of July 2016 and it says “Host Color Europe announced High Availability Cloud-based servers, powered by VMware cloud computing platform“. I guess that one one would conclude that it was covering a news that was so interesting for the social network’s users, that for this particular reason, it reached 8,000 people and got 27 clicks. I guess that anyone from Facebook’s team would go and cancel this statement, by providing statistics and ton’s data that prove the opposite. However, in this blog article I say what I see. I say only what I have experienced with my boosted FB posts and it looks that many other people experience the same. Take a look at another boosted post. This post was created as experiment on December 31 2015 and said “New Year’s specials – 20% off any SSD Cloud VPS with code”. An image of a palm holding an SSD was added to this post. It doesn’t sound that impressive, does it? Take a loot at the results, however. I did’t expect to get any decent results out of it. It was December 31st and most people are expected to be occupied with the New Year’s celebration rather than shopping for Solid State Drive powered Virtual Private Servers. 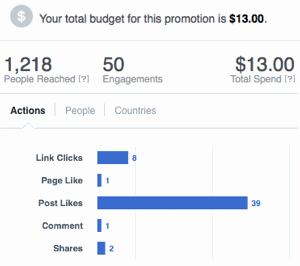 Many people use the “Boost” button because they saw their organic reach limited by the Facebook system. I do use option “People you choose through targeting” to create “boost” campaign for specific U.S. states. What happens is that even I need to get more people to review and click on the sponsored posts, Facebook “optimizes” them for engagement (whatever this might mean) and not link clicks. The result is that the posts would get a lot of “Likes”, but very few real clicks. Therefore the benefits say with Facebook, as it just receives more information on what some of its users tend to “like”. This short article has not been published to make a big, bold statement about the quality of Facebook boosted posts and the social network’s advertising system. Despite that the Facebook users face higher costs of advertising inside the social network, I guess that FB boosted posts and ads still work good for many. It looks like I’d shift my advertising budget to other media channels, however.